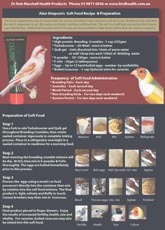 We at ladygouldianfinch.com know that bird clubs are the backbone of American Aviculture. We also know that fund raising is a constant battle for most clubs. Why are we willing to do this? 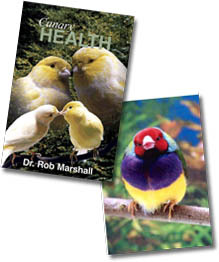 Our love of the Lady Gouldian Finch and concerns for its endangered species status in Australia have inspired us to breed the highest quality line possible. We have been very successful. In appreciation of our success, we want to give something back into the Avian Community. 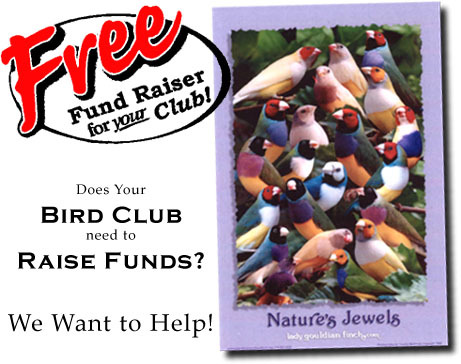 Doing this with the Bird Clubs seems like the right way. 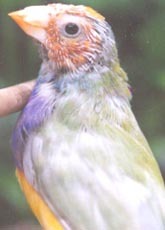 If you are interested in having ladygouldianfinch.com help you with fund raising for your club, please contact us about our Bird Club Fund Raising Program. You can e-mail us at FundRaising@ladygouldianfinch.com or telephone us at 949.419.6230 between 8:30 am and 5 pm Eastern Standard Time.